On Sundays, we like to use up all that is in the fridge before we go shopping for more. 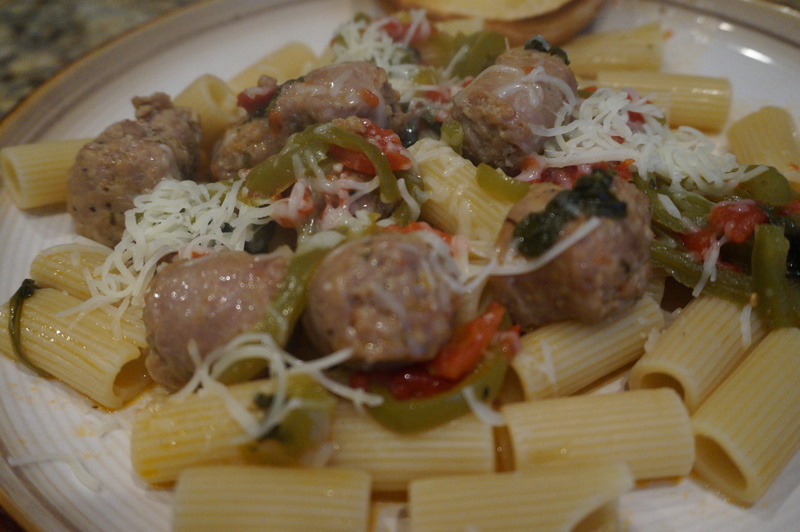 The following ingredients were leftover from the last food shopping order, so I came up with a Sausage Scallopini dish. You can serve by itself or over pasta. I cooked rigatoni according to package for a nice rounded meal. After plating, you can sprinkle shredded mozzarella cheese to your liking. ***Stay tuned to learn how to make cheesy garlic bread included in the picture above. Hint: Also made from leftover goodies. Experimenting is the God of cooking secrets.